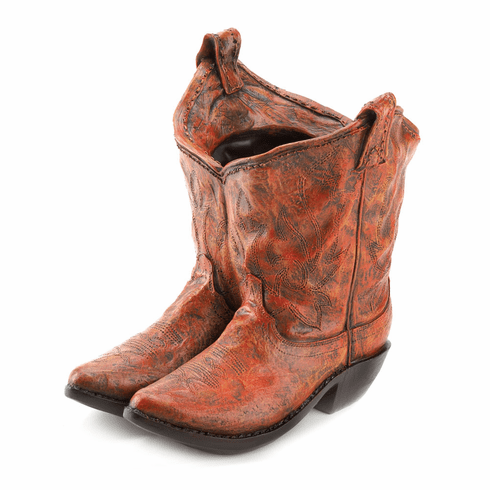 This boot planter shows off your cowboy style and your green thumb at the same time! 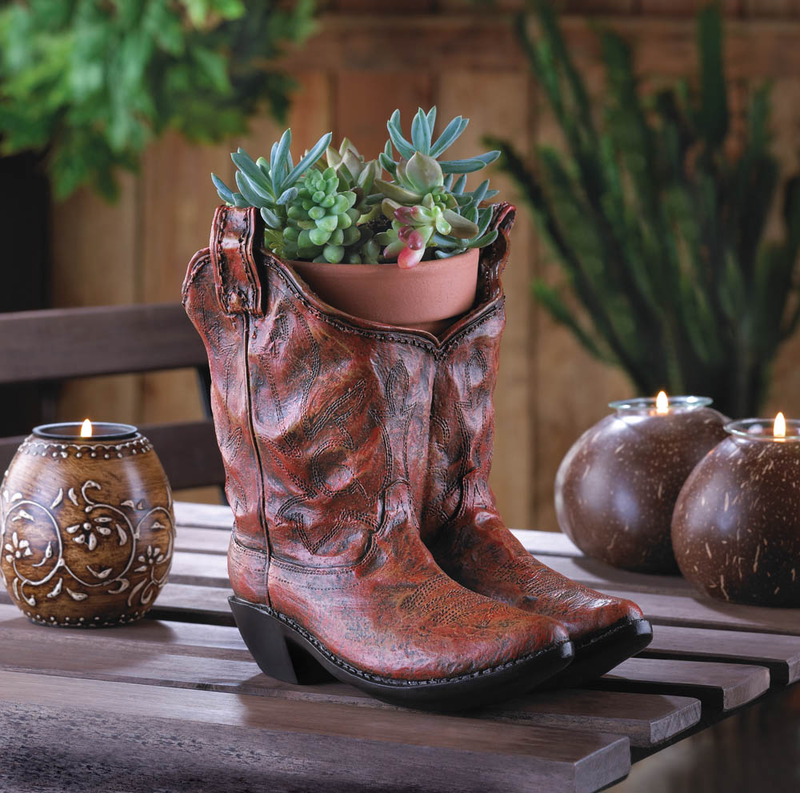 Fashioned after a pair of classic cowboy boots, this planter displays your favorite plant with true Western flair. The bottom of the planter features a drain hole. Item Weight: 2lbs. 7½" x 7" x 8" High. Polyresin. 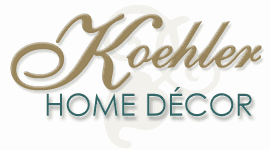 UPC: 849179008932.